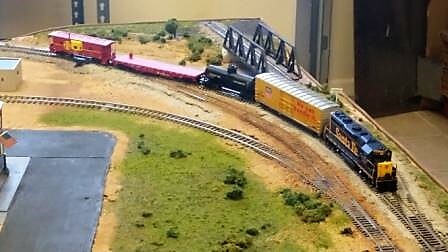 Where else can you get started in the awesome hobby of model railroading for $25.00? That answer is obviously NOWHERE. 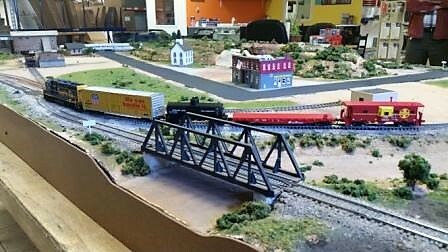 The layout in our raffle is an updated 5’ x 8’ setup featuring two trains, a few buildings, base scenery, and a DC power pack. The layout is wired for one-train operation only. This layout is purpose built so that you can personalize it how you want. 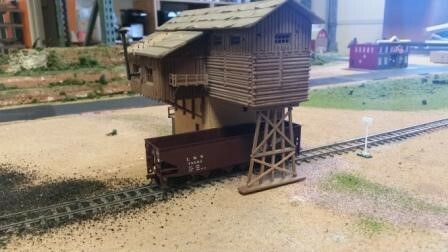 There is plenty of room to add your own buildings, rewire for DC two-train operation, upgrade to DCC, or build an add-on table via the extension track that is already there. The photos below will show you everything you will receive. Only 100 tickets will be sold. We hope to be able to give this layout away before the end of this year but will wait until the 100 tickets are sold. Your names will be transformed to a number. The local PD will be presented with the bowl to draw out the winning number. The winner will have 6 weeks to pick up the set after they are announced and contacted, as we are not able to deliver the layout. Tickets may be purchased here. This raffle has been closed due to lack of participation. Below are photos of the layout and what you will receive. 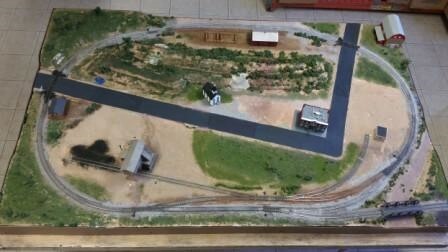 An overall view of the layout with structures. This is the trains you will receive. 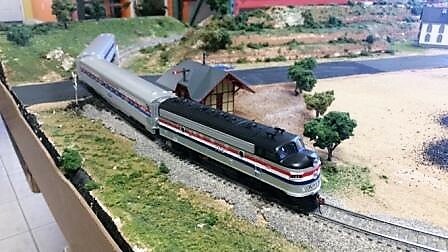 This is the Amtrak Train at the station. The coal car at the coal yard. The cattle car at the stock pens. 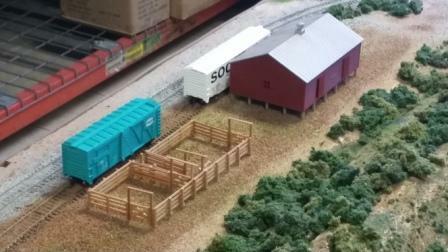 A box car at the feed warehouse. Overview of the stock pens and feed warehouse. 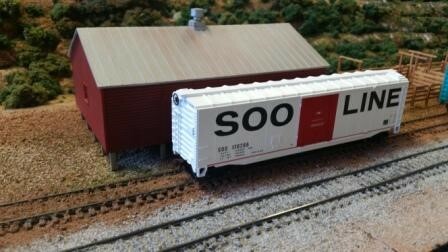 A Santa Fe freight train is rolling into the yard area. Overview with all trains and structures. 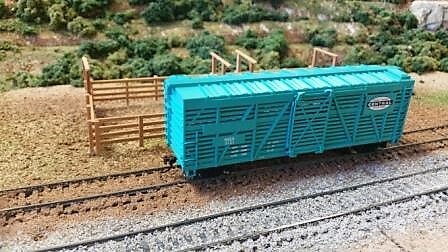 A side view of the freight train and layout. 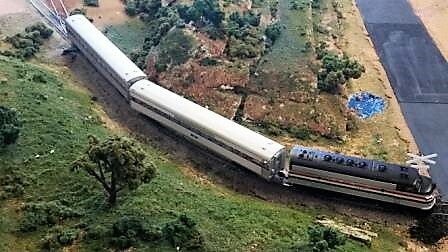 Amtrak train at the cut. 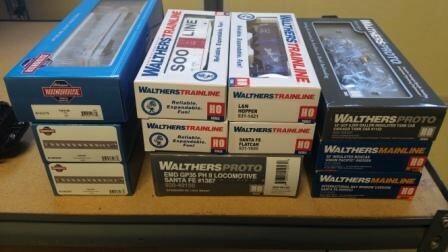 This raffle is operated by the American Passenger Rail Heritage Foundation (501c-3). There are no other sponsorships from the manufacturing companies represented on the layout. All proceeds will be used to further our efforts at the APRHF Lookout Point Park project. Another project from us that is being designed with everyone in mind!